Marshall considers Mary Poppins Returns to be his most personal film to date since the philosophy of the film, of finding light in a dark time, is something he is personally searching for. He also considers this film to be the hardest work he has ever had to do, making it a joyous project for that very same reason. Blunt wanted to make sure her portrayal wasn’t a bad impersonation of Julie Andrews. She wanted to preserve what Julie Andrews had done while also being true to the character of Mary Poppins. She found the P.L. Travers books to be very helpful in researching the character, and made sure not to watch the original Disney film while she was filming Mary Poppins Returns, to make sure it didn’t unconsciously imitate Andrews portrayal. Despite having to fly back and forth from her home in the United States to filming in London, Mortimer gladly did the long flights to play Jane Banks in the film. Mortimer talked about how magical it always felt on set, and how she formed friendships with the cast which were immediate. The experience as a whole is something she will treasure forever. Mary Poppins was his favorite film growing up, becoming a huge part of his childhood. He said playing the character came easily to him since the script was so beautifully written with fantastic songs, that playing Michael Banks came fell naturally into place. 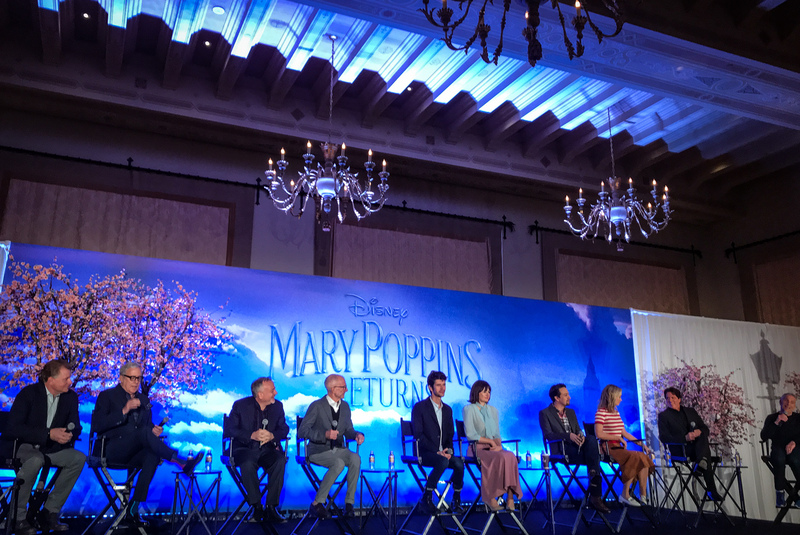 The experience of seeing Mary Poppins Returns is quite magical, so it was very heartwarming to hear that the experience on set had that same fantastical feeling! You can see Mary Poppins Returns in theaters December 19th.